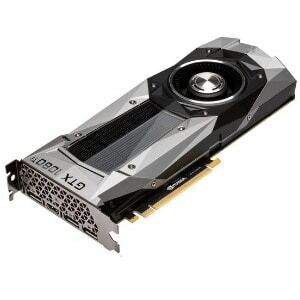 The GTX 1080 Ti is one of the most powerful GPUs on the market, and one of the most popular too, despite the recent release of the RTX 2080 and the GTX 1160 cards. It’s also our top Nvidia pick for the best GPUs of 2019. There’s… actually a very good reason for this, but we’re going to save that discussion for later in the article. For now, we’re going to briefly go over our picks for top GTX 1080 Ti, after which we’ll dive into the nitty gritty of how the 1080 Tis will perform, how they compare to the RTX 2080, and which one will be best for your needs. 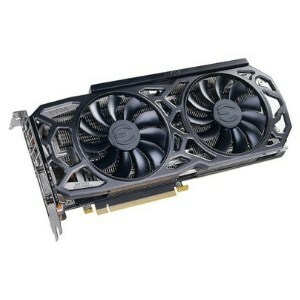 It’s never a surprise seeing an EVGA GPU in an Nvidia GPU roundup like this one. Unsurprisingly, their 1080 Ti SuperClocked Black Edition offers the best out-of-box factory overclock of any 1080 Tis we were able to find available on Amazon, so they earned our top performance pick. In addition to being the top performance pick, EVGA is also particularly well known for their stellar customer service and return policies. While we consider all the manufacturers who made it onto this list trustworthy, EVGA has been known to go above and beyond when it counts. The best cooling, unsurprisingly, goes to the ROG STRIX GTX 1080 Ti. Regardless of the underlying GPU, ASUS has seemingly perfected third-party GPU cooling with the STRIX lineup, so of course they win best cooling here. In addition to its stellar cooling performance, the ROG STRIX also boasts features like a high factory overclock and RGB lighting. If you like that extra bit of visual flair, this card might just be the one for you. ZOTAC’s GTX 1080 Ti Mini is the smallest of its kind that we could find. How they managed to stuff 1080 Ti performance into such a small package is a mystery, but… they did it. In addition to being a very strong pick for ITX and HTPC builds, the 1080 Ti Mini also tends to retail for a bit less than other 1080 Tis, making it a viable (alternative) budget pick, if it’s at the right price point. Yes, Nvidia’s reference design actually managed to make it into our list! 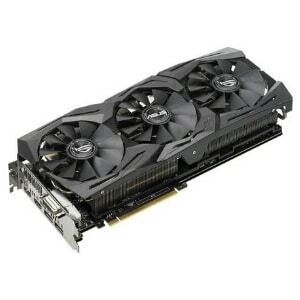 The Founders Edition 1080 Ti has all the performance you’d expect, and is usually the cheapest of the bunch, especially if you order direct from Nvidia. While Nvidia’s 1080 Ti may not have an overclock to speak of or a super-advanced cooling system, it should still perform admirably in most situations. Some even consider Founders Edition to be a worthwhile stamp of Nvidia pride! Last but not least is our balanced pick, MSI’s aptly-named Gaming GTX 1080 Ti. It’s...it’s certainly a gaming card, that’s for sure. In more detail, the MSI GAMING edition of the GTX 1080 Ti serves as an effective balance between the pros and cons of other cards on this list. We’ll explain in more detail later in the article. How will these cards perform? There are three kinds of people in the world. Person number 1 is the budget gamer. He doesn’t have much money to spend, and is always chasing down the hottest deals, making his gaming experience as good as possible for as cheap as possible. In fact, this person is probably looking for 1080 Tis on the aftermarket. Person number 2 is the well-off gamer. They don’t peruse used GPU guides or anything of the sort-- they just buy what they want and aren’t too stressed out about it. Maybe they plan out their system, maybe they don’t. Person number 3 is you. You’re spending an awful lot of money on a graphics card, but chances are you don’t care about that. You want nothing but the best performance, and you’re going to get it. Congratulations, Number 3. You’re in the exact right place for that. The 1080 Ti, despite the 1080 in its name, is not for 1080p gaming. 1080p gaming is a joke on the 1080 Ti, with the ability to easily push hundreds of FPS in modern games-- including Anthem and Tom Clancy's The Division 2, provided your CPU and RAM aren’t bottlenecking you. The 1080 Ti is much better suited to 1440p gaming with the ability to push 1440p titles at high-to-max at 60 or more FPS with ease. 4K, too, depending on the game. The 1080 Ti is not a peasant GPU, nor a value one. It’s for the best of the best. VR isn’t even an issue for the 1080 Ti. Recall that PC VR’s minimum spec is the GTX 1060 3GB, then recall that this card has a whopping 127% performance advantage over it. That’s...a pretty scary number. It’s not like the 1060 is weak or anything-- it’s very strong-- it’s just that the 1080 Ti is that powerful. How does it compare to the RTX 2080? The RTX 2080 is the first in the latest series of GPUs from Nvidia, serving as a successor to the GTX 1080 and a direct competitor to the GTX 1080 Ti. Despite being anywhere from $100 to $150 more expensive than the 1080 Ti, the RTX 2080 actually performs… just about the same in gaming scenarios, offering only marginal performance increases where they arise. But wait! You may be shouting, Why would Nvidia launch a whole new GPU if it isn’t even stronger than the 1080 Ti? ...in theory. While there are a few benchmarks and applications that show off this functionality, there are only a few. In terms of real games that can actually use all the extra hardware in RTX that drives up its pricing… that isn’t here yet, likely because it simply isn’t ready yet. RTX is an early adopter technology, which means that it’s going to be a very long time before it offers real value to consumers, assuming it ever does. If you want to future-proof yourself a little bit, an RTX 2080 is worth considering. But if you want to be smart with your money, we recommend sticking to the 1080 Ti for now, and reselling or trading up if you ever regret the decision. Clock Speed - Clock speed refers to the speed of the processing core inside the GPU, with higher numbers corresponding to higher performance. VRAM - VRAM refers to the graphics card’s onboard memory, which is used for texture streaming and other purposes. More VRAM allows for playing at higher resolutions and using more detailed textures in your games. Length - Length refers simply to the physical length of the card in question, which will generally be the biggest determining factor in whether or not it fits inside your case. Overclocking - Overclocking refers to the act of increasing clock speed in order to increase performance, often at the cost of increased power consumption and heat output. Sans the Founders Edition, all of the cards on this list will ship with a “factory overclock” done by the manufacturer, for just a little bit more of that sweet performance juice. With our categories, we chose the most meaningful distinguishing factors for GPU selection, and also added a “balanced” option for those who prefer to occupy the roads between. We’ve listed these categories below this paragraph. Best Performance - This is for pure, out-of-the-box performance; no user tweaking required. This corresponds pretty closely to factory overclock, but sometimes a few other factors can affect the choice here. Best Cooling - This one is pretty straightforward: which graphics card has the best cooling? Barring water-cooled cards (which are incredibly scarce and kind of a waste-- do your own custom setup if you’re going to watercool a GPU), this is simply a matter of looking at benchmarks and seeing what cards come out on top. Best Low Profile - You know how they say you shouldn’t judge a book by its cover? In this case...you absolutely should, since you’re trying to find the smallest possible version of a GPU, suited for ITX and other SFF gaming PC builds. Best Budget - The cheapest acceptable pick from a reputable manufacturer. Pretty simple. Best Balanced - The best balance between performance, cooling and budget that we were able to find. Let’s get the downsides out of the way first: this card will come at a cost and clearance premium. Not only does it cost a lot of money, but it is massive, massive enough that if you’re using a Micro ATX tower or smaller, I’d seriously recommend double-checking to make sure that this card could actually fit inside your PC case before buying it. 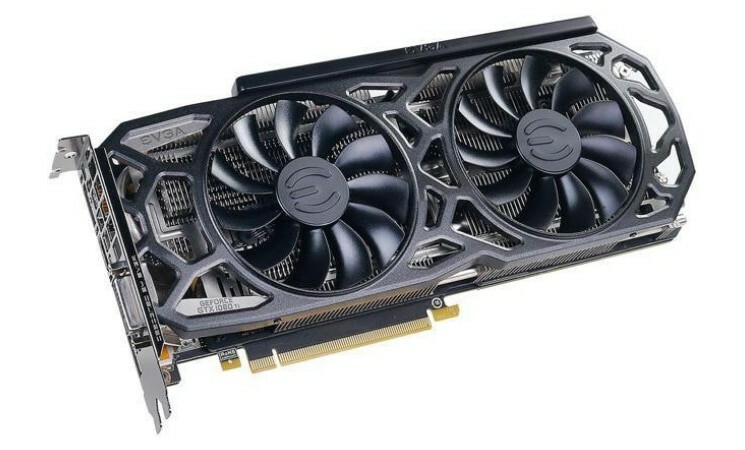 I don’t know why it’s so large, but that space definitely isn’t being wasted, because this card also boasts a huge factory overclock that makes it the fastest 1080 Ti and pretty great cooling performance. If what you want from your GPU is great out of the box performance without you needing to change anything on your own, this is definitely the card for you… arguably the best one. Next up is the ROG STRIX, which is… miraculously not the largest card in this lineup. (When a STRIX card is in a GPU lineup, it’s usually the largest one, thanks to its triple-fan cooler setup.) In this case, that throne has been taken from it by the EVGA GPU. Unfortunately, the same usual downside still applies here: unless you’re using a big full tower ATX case, you’re going to want to double check to make sure that your build has the clearance necessary for this GPU. Aside from the price and size, though, the STRIX really comes out strong here. It already has an almost-best factory overclock, and with the superior cooling setup you should actually be able to push this card past the above EVGA’s GPU out-of-box performance… if not farther than that card overall. Depends on your luck with the silicon lottery. Oh, and it has RGB! If you like to go the extra mile with case lighting, this is definitely the card for you. The only real downside of this card is that, due to its small size, you can’t really overclock it much. Even with that downside in mind, though, it should perform on par with the other cards on this list… these are all ultimately 1080 Tis, after all. No amount of overclocking will change the hard limits on the GPU processing cores. Once you look past that, you have a truly stellar choice for smaller PCs out there. Its factory overclock may provide it a slight performance advantage over the Founders Edition, and its dual fans should ensure it stays reasonably cool, so long as it has room for proper airflow around it. The price of this one should also be lower than the other cards on this list, sans the Founders Edition. Like with the Mini, this one isn’t really suited for overclocking… but you may be able to get a modest overclock out of it. Your mileage may vary. That nitpick aside, this is likely the cheapest you’re going to find a GTX 1080 Ti, and it comes straight from Nvidia. You can’t get much better than that when it comes to Nvidia GPUs, even if they don’t stuff a bunch of extra features into their cards or slap on extra-efficient coolers. Also, if you have a more average-sized PC build, this one should actually fit inside of it, which is a great benefit over the ridiculous size of our Performance and Cooling picks. Last but not least is our balanced pick, which… doesn’t really have any major downsides. That’s the main benefit of being “balanced”. Fluctuating price is the only thing that really hurts this card, so just make sure you aren’t overpaying for it (~$740). If you aren’t particularly enticed by any of the other picks, this is probably the one for you. Overclocking and cooling should both be just fine, and the factory overclock is actually pretty good, too. Now that we’ve gone through all the best 1080 Ti cards, let’s break down which one is right for you. Performance - If you don’t want to mess with overclocking and want the best out-of-box performance, go with the EVGA GTX 1080 Ti. Cooling - If you want superb cooling, RGB lighting and good overclocking headroom, go with the ASUS ROG STRIX GTX 1080 Ti. 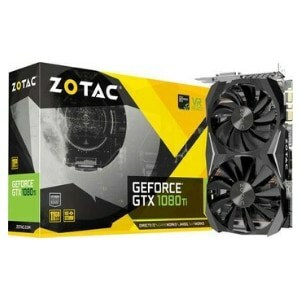 Low Profile - If you have a smaller PC build and want a card that will actually fit without compromising performance, go with the ZOTAC GTX 1080 Ti Mini. Budget - If you want to save as much money as you can while still spending $700 on a GPU… get the Founders Edition. Balanced - Last but not least, if you want to balance out the above options, go with the MSI GAMING GTX 1080 Ti. The name may not be very creative, but it offers a good middle road between the other options. 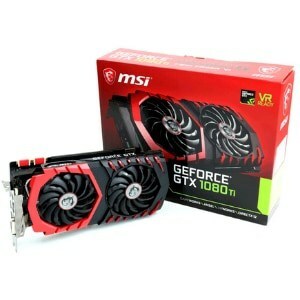 was considering going with an EVGA gtx1080ti sc black but didnt see much reviews about it…my 2 choices were either that or the msi gaming version. already knew that the msi wasnt strong with out of the box performance however I didnt know that the EVGA black was the best out of box performer…thanks alot for this article! keep it up. Ben had always been a PC enthusiast long before he realized that there was a lack of online information about PC building. That's what motivated him to start WePC in 2011 in order to help others build a computer of their dream.